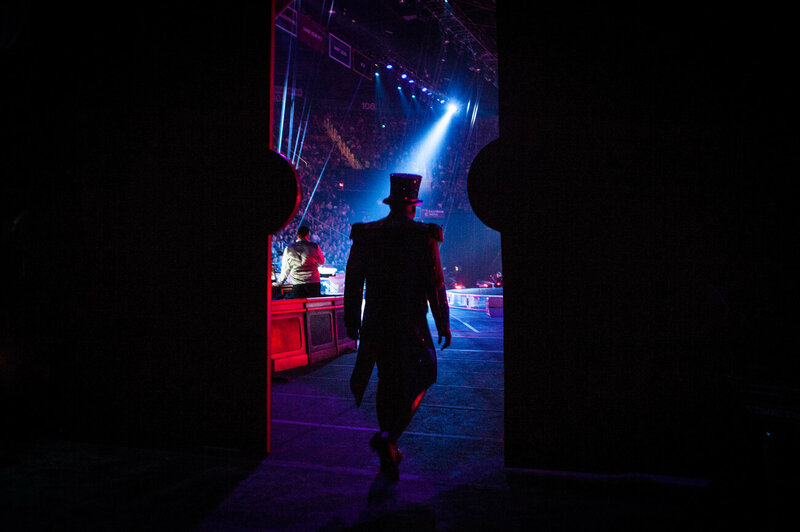 Ringmaster Johnathan Lee Iverson enters the ring in Fairfax, Va., at one of the final performances of the Ringling Bros. and Barnum & Bailey Circus. 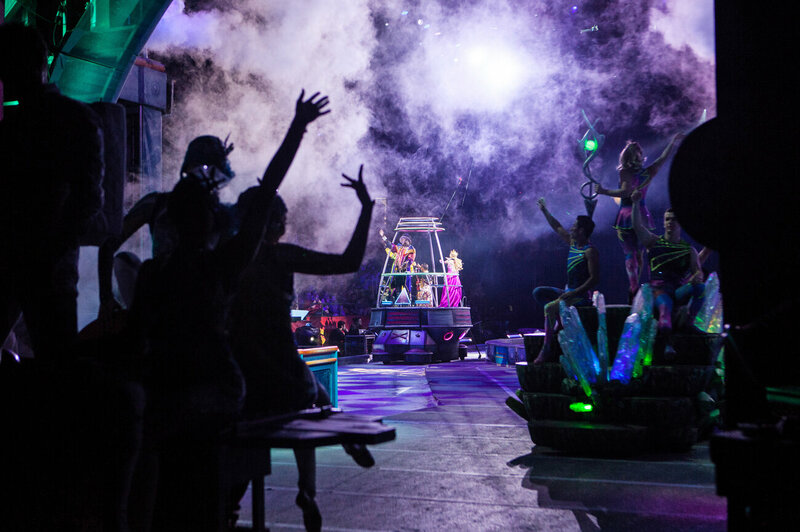 The Ringling Bros. and Barnum & Bailey Circus has been entertaining audiences for a long time. Its history goes back 146 years — to about the time when professional baseball emerged and before Coca-Cola was invented. But this substantial chapter in American history comes to a close on Sunday. After years of declining ticket sales and seemingly endless conflicts with animal rights groups, Ringling Bros. will stage its final show in Uniondale, N.Y.
Ringmaster Johnathan Lee Iverson is one of hundreds of Ringling performers and crew members with extraordinary talents who will be out of a job come Monday. 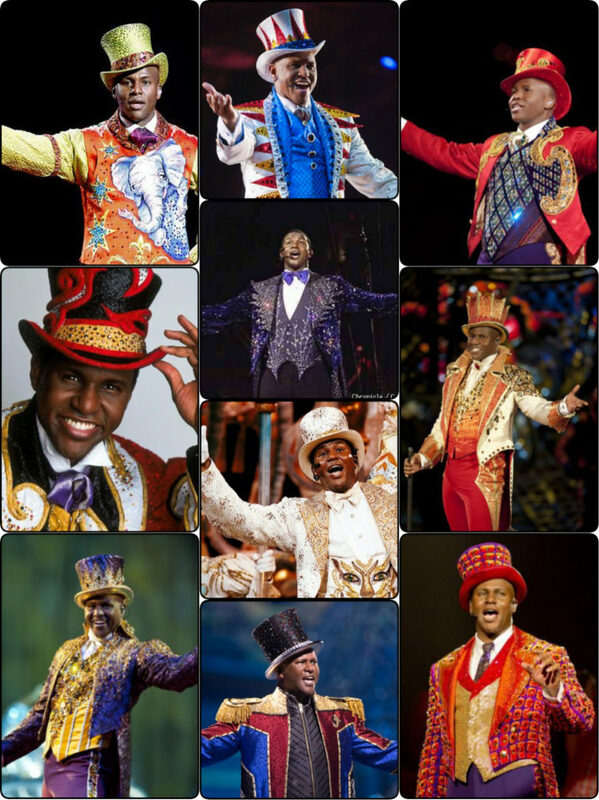 Recruited fresh out of college, where he’d been studying voice performance and training to be a professional opera singer, he became Ringling’s first African-American ringmaster in 1998. “Ironically enough, I will be the very last voice in the 146-year history of this show, so I will be the last person you hear to speak of ‘The Greatest Show on Earth’ — which is a wild little paradox, to be a first and a last at the same time. I don’t know too many people who can say that, in any industry,” he says. 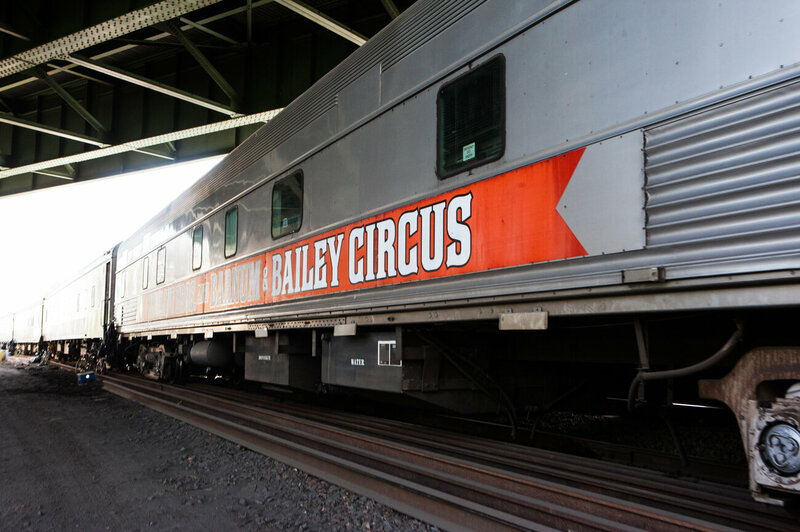 In his nearly 20-year career with the circus, Iverson married a fellow performer — a Brazilian dancer turned production manager — and raised two children while traveling from city to city on the circus train. 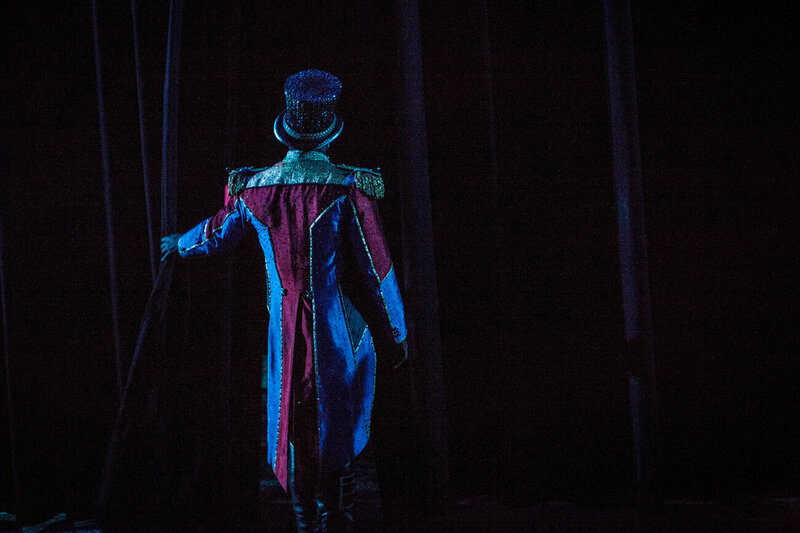 Now 8 and 12 years old, his children also perform with Ringling. 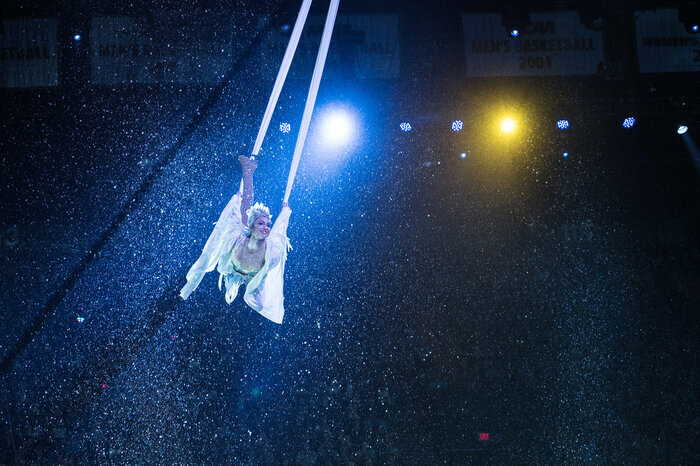 During the circus’ recent slate of shows in Virginia, Iverson let NPR into his world. Between performances, he navigates what comes next. On a trip to FedEx to ship out professional portfolios to prospective agents, he reflects on the absurdity of job-hunting for circus folks — recalling the time consultants came to help them with their resumes. 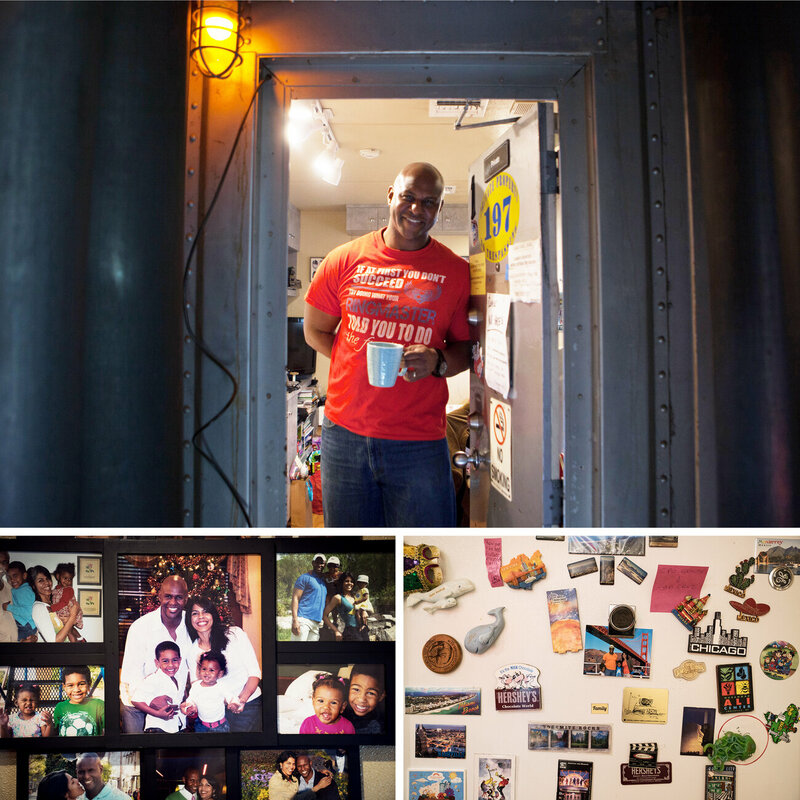 Iverson and his family of four have lived year-round in a three-room compartment on the mile-long Ringling circus train. As they travel from city to city, they collect magnets from the different places they visit. 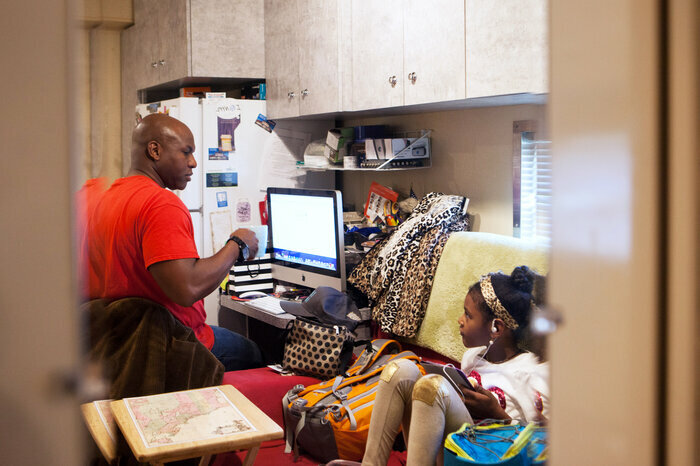 Iverson talks with his daughter, 8-year-old Lila Simone, in their home on the circus train. She and her brother, 12-year-old Matthew Felipe, have grown up in the circus and both now perform in the ring. 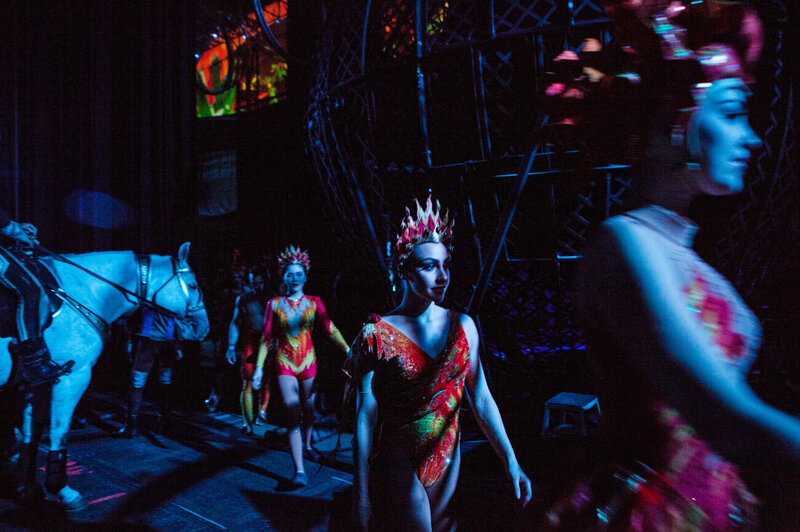 About 120 performers and crew members from Ringling’s “Blue Unit” have lived year-round on the mile-long circus train. A separate “Red Unit,” which simultaneously traveled the country, had its own train with a comparable number of full-time residents. Iverson’s son Matthew Felipe gets ready backstage; Iverson applies makeup. Matthew Felipe plays a younger version of his father during the show. Iverson waits in the wings of the EagleBank Arena at George Mason University in Fairfax, Va., before one of the final matinee performances. Recruited by Ringling fresh out of college, Iverson has been with the circus almost half his life. 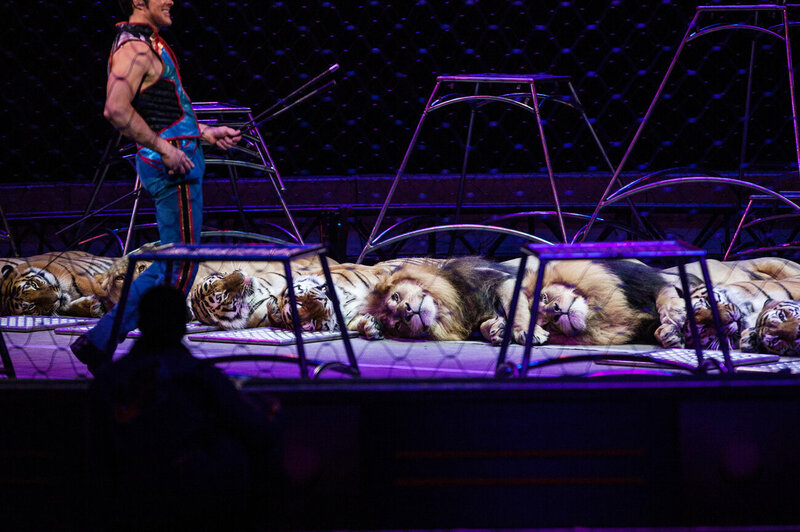 Ringling performers and animals enter the arena in Fairfax, Va.
Big cat trainer Alexander Lacey commands lions and tigers during the performance. In Ringling’s final year, these animals, along with horses, were the show’s largest. Elephants were retired from the circus in 2016. A performer soars through the air. 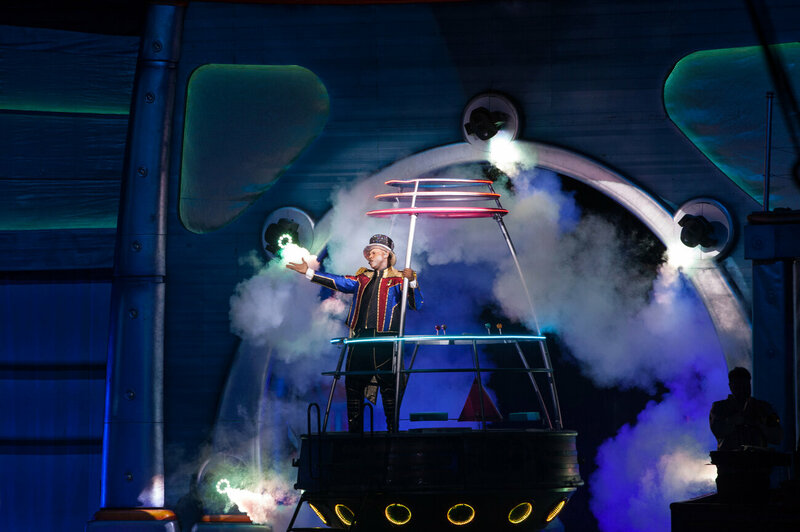 The show features classic acts including clowns and tightrope walkers, as well as stunt motorcyclists and acrobatic ice skaters. 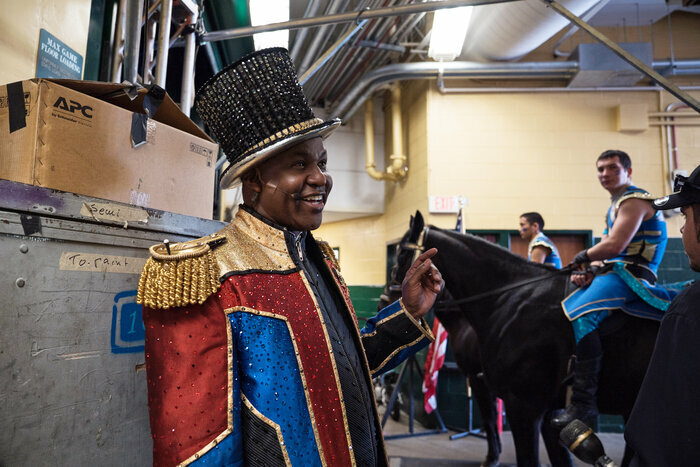 After 146 years, the Ringling Bros. circus will stage their final performance on Sunday in Uniondale, N.Y. By the final weekend, Iverson is still not sure what comes next for him and his family.